Replacing sewer pipes in Ladbroke Square uncovers a Roman temple. Local dignitaries and residents decide to celebrate the discovery by holding a Roman Carnival including fancy dress, refreshments, speeches and a tour of the site. The Home Secretary who lives in the square will open the ceremonies. However among the guests there are real Romans called Ravens, members of a mystery cult who are bent on causing chaos in 20th century London. Two young boys, Anthony and Hector are destined to thwart their evil intensions by destroying the temple and closing the gateway to the past. Anthony Archer lives in up market Ladbroke Square in London and attends an inner city school for boys. His only friend is Hector, a West Indian who lives in a single bedsit off the Portobello Road, famous for its market and antique shops. Anthony has a fascination for Roman history, which contrasts with the dull and often threatening atmosphere of the local school neighborhood. 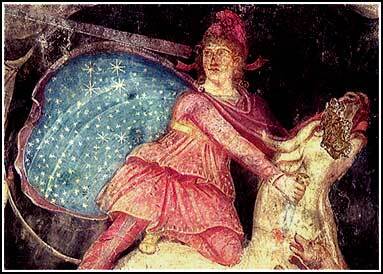 To escape from the squalor of his surroundings, he sees everything through Roman eyes. Anthony's parents are concerned with his obsession with things Roman. However it is his avid interest in Roman history and his friendship with Hector that cast them as key players in defeating evil beings from another time dimension. Their only weapons against this invasion are their simplicity and honestly. Hector's good and easy-going nature, loyalty to a friend and courage play an important role in the drama. Anthony is not particularly courageous but together with Hector, he shines as a natural leader in times of danger. Unlikely heroes in a battle with cosmic evil, the boys work as a duo, displaying common sense, courage and Cockney humor in the face of many unexpected dangers. These dangers include encounters with a huge black hound, assassins called Ravens, the goddess Isis and imprisonment in a pit in an underground chamber. Serafim Gascoigne has done it again. A masterful story about a young man sorting out his life while all around him mysterious forces are mounting to test his manhood. Anthony is a schoolboy fascinated by Roman history, as are many boys his age. But in this case his play acting has taken on a life of its own and he soon finds himself in a life and death battle to save himself, his best friend Hector and all of modern day London. This is the way history should be taught. I especially loved that for the hero there were very few moments of clearly seeing what had to be done. There were many moments of not being clear on what was being asked of him. But the test was not if there was clarity of vision for the young boy, but if there was a willingness of heart to do what was right. A great summer read for boys and girls who love adventure. A great book suggestion for teachers who are looking for ways to make ancient history come alive. Sally Franz/Former Youth Director Best Selling Author "Scrambled Leggs"
A school boy's fixation on the Roman Empire becomes real life drama as the line between past and present disappears. 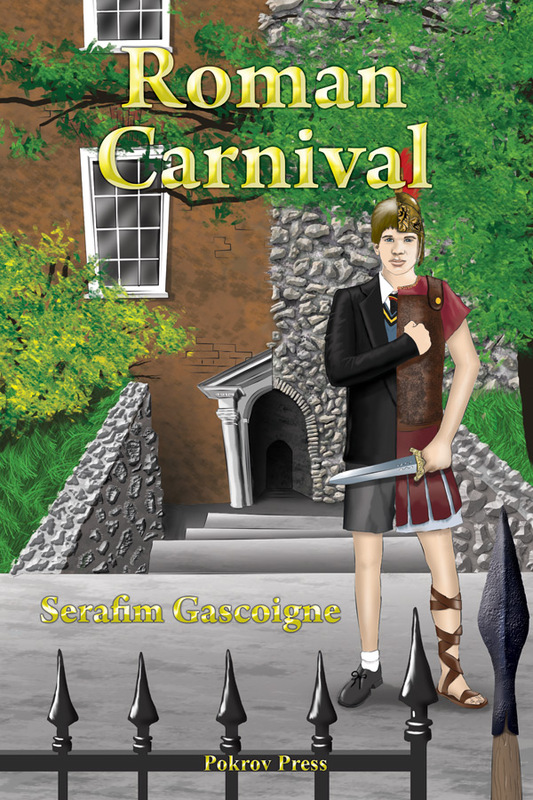 Father Gascoigne has written an intriguing adventure that will hold the interest of adults as well as youth. This tome is filled with exciting twists and turns keeping the reader engaged and in a state of anticipation. The characters are delightful and I ended the novel wanting to continue reading about their future escapades. Beautifully written and filled with such sights and sounds that you can actually feel yourself on location. Highly recommended reading for all ages but would fit well with youth ages nine thru fifteen.